Your trusted blade will be at the ready when you wear the Black Sword Frog during LARP adventures. This left-handed sword frog is handcrafted from high quality leather, and its adjustable, brass buckled straps ensure a secure fit. 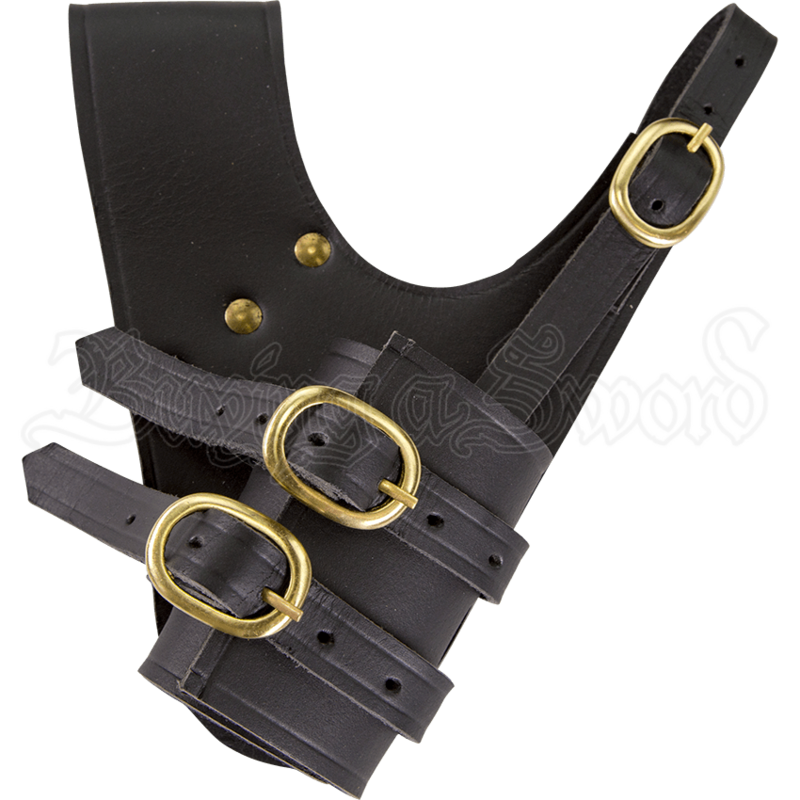 The thin front loop can be opened completely and is highly adjustable, securing with a brass buckle. The closed back loop is wider for a stable rest on your belt, and brass rivets reinforce the structure. Two brass buckled straps hold the blade of your LARP weapon in place and can be adjusted to fit most LARP swords. Designed to sit on the right side of the wearer, with sword ready to be drawn with the left hand, this adjustable LARP sword frog is a great choice for a variety of characters, settings, and LARP blades.